Have you heard this saying before? It's really so true. Your energy does flow in correspondence with your attention. This is true on a number of levels. The fist of which is in terms of your awareness. For example, lets say you would like to open your heart. Opening your heart is an essential step on the path of awakening. Your heart is the center of your multidimensional self, and when it is open, it empowers you to be able to tune into your higher vibrational experience. Your open heart is also the access point for the Angelic realms. But so often, even if you have the desire to open your heart, your attention remains in your mind. Even though you’re thinking about opening your heart, all of your attention is in your mental body and your mind. Your attention is centered in your mind, and so your energy stays in your mind. Alternately, if you release the need to know everything, choose to simply experience, let your attention drop from the level of your mind into your heart, and focus your attention on the light glowing in your heart, that is exactly what happens. Attention on your heart allows your energy to flow into your heart center, opening your heart. As you continue to focus on your heart, letting light glow within you, you can have an incredibly profound experience of activation and awakening. Your heart is the entrance into the higher dimensional realms, it’s the doorway allowing you to experience your Angels. The next example is using your attention, and therefore your energy to flow blessings of love and light towards events and places, and towards what you want to create. Reading empowering material, listening to channeled meditations, and flowing your energy through attention towards what you would like to see more of in the world has a very real and profound effect. You probably want to turn that off and refocus your attention and energy on something more positive and constructive. But let's say you somehow heard about a tragic event occurring in the world. If you focus your attention on how terrible it is and on how sad you are, then energetically, you’re wrapped up in that lower vibration. This brings lower vibrational energy into your life. Then, you’re also contributing a lower quality of energy to that event or area of the world. Alternately, you have the choice to flow positive energy. Focus your attention on the event or part of the world that is experiencing challenge and open your heart. Ask your Angels, “Help me flow positive light and energy towards this event.” Flow the energy of love, of ‘all is well,’ of neutrality towards that event. Focus on the place in need of energetic balancing, from a place of love, and you can help to vibrationally shift the energy around the event, by returning to neutrality. Finally, where you focus your awareness, plays a key role in what you're creating and manifesting in your life. If you’re focusing on what you're worried about, what you don't want and don't like, you’re actually vibrationally drawing more of this energy into your experience. This is why it's so important to stay focused on your highest intentions. Stay positively focused and optimistic about what you're creating in your life because this helps bring you into alignment with it. You energetically infuse your intentions through awareness. A lot of the teachings on the law of attraction are missing a huge piece of the puzzle: your energy. It's now just your thoughts, but also your emotions, beliefs, attitudes, and actions that create your life experience. Just thinking about something is a good start, but then really feel what it would be like to have that manifest in your life, believe it can be so, and take steps as if it’s already been created. If you want to be a financially abundant, successful entrepreneur, start acting like one. Entrepreneurs don't just sit back and wait to win the lottery. They’re actively taking steps to build their business and to bring value to the world. Believe you can do it, think positively about it, feel as if you’ve already created it, and take action. This allows your attention to flow towards what you want and then your energy follows, infusing it with positivity and magnetizing it into your life. A key to taking control of your energy, is choosing to stay fully focused in the present moment. This is sometimes called mindfulness. It’s so important to stay present in the moment because, when you're present in the moment, you can then choose to positively flow energy towards what you want through your attention. Part of this is taking back the energy you’ve been flowing toward your past and known future. Even just mentally running the scripts of, “I need to go to the grocery store today and then Janet’s going to come by and then I need to check my email and then I'm going to have a lunch,” keep you from the present moment. All of those things are going to take care of themselves. Really, stay present so that instead of flowing your attention towards things that are known, towards things that are going to happen anyway, you can be present with your heart open and your energy receptive to programming. You probably don't really care or need to devote all of this energy towards what you're going to wear to work tomorrow. Let that take care of itself in the moment. In this moment, stay present, stay open, and consciously flow your attention towards your highest intentions. Your energy will follow, magnetizing what you want into your life. 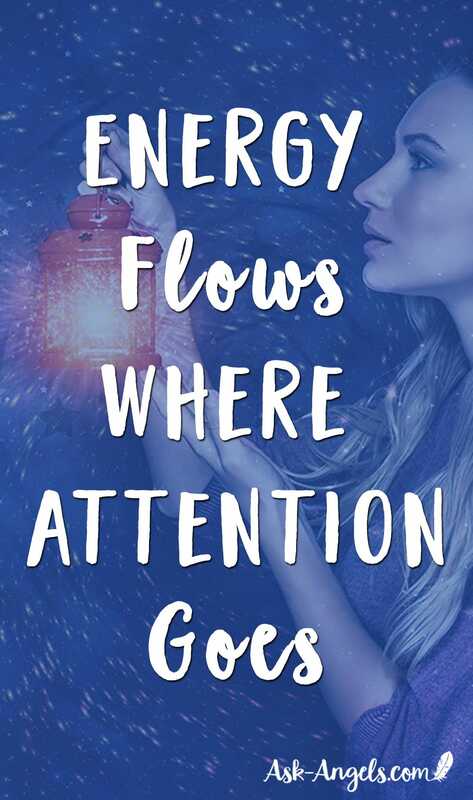 Remember… Where attention goes, energy flows. 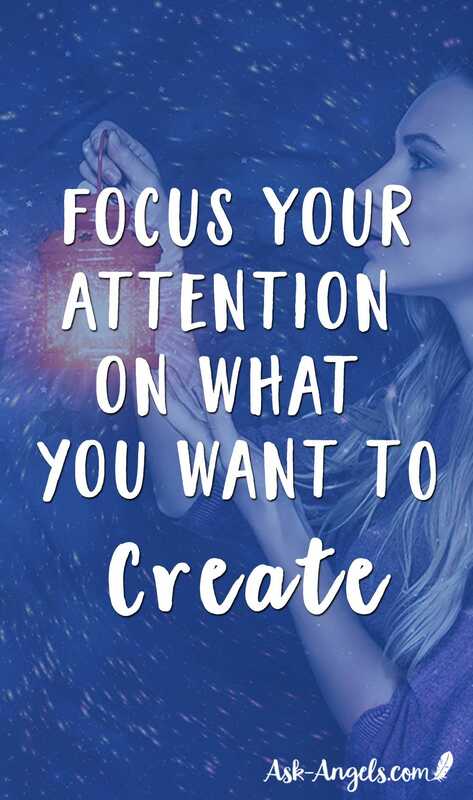 Choose to focus your attention on things that are empowering, supportive and in alignment with what you really want to manifest. 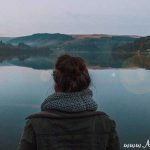 The Definition of An Empath – Signs You're Empathic & What to Do If You Are!